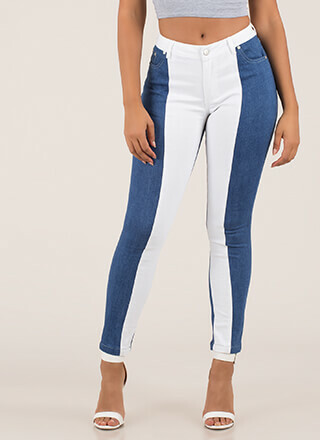 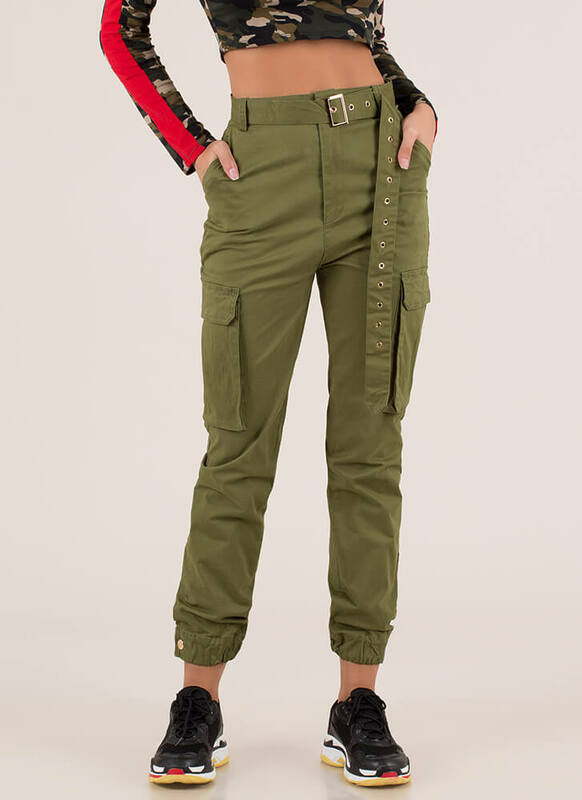 When given the choice, we always pick pants with pockets! 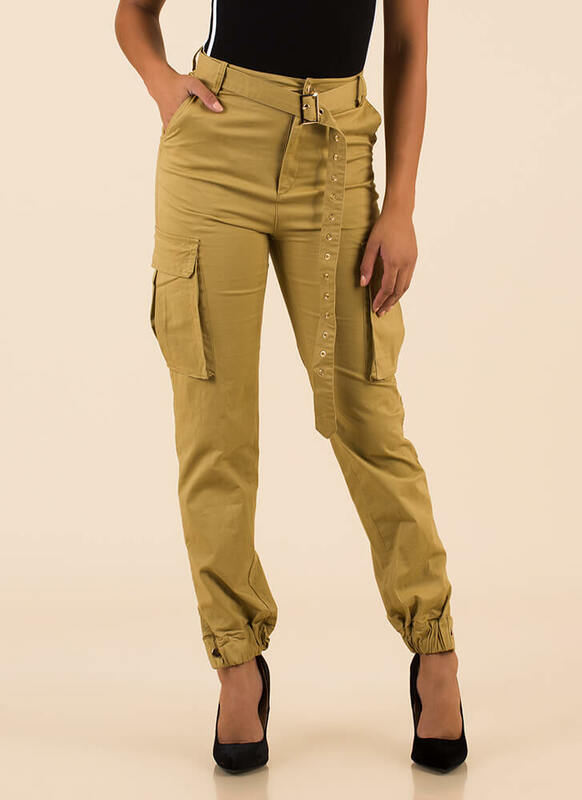 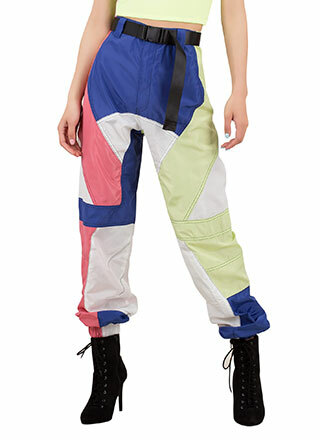 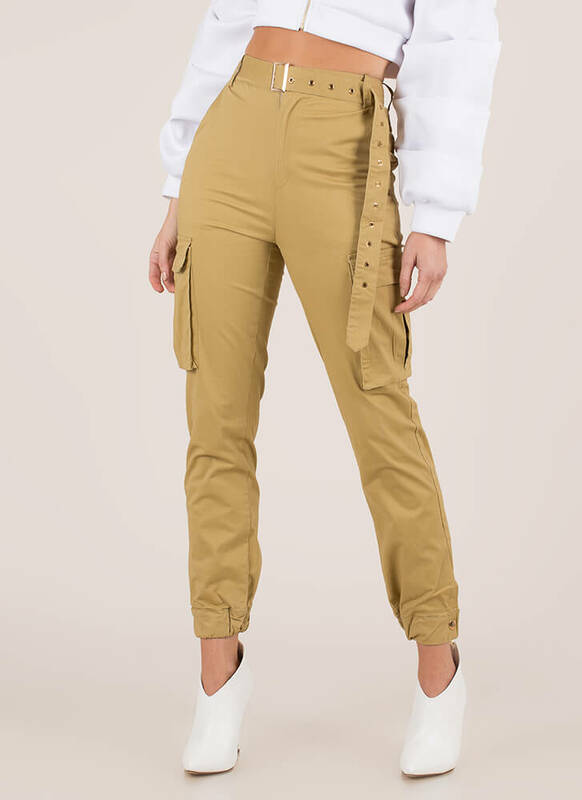 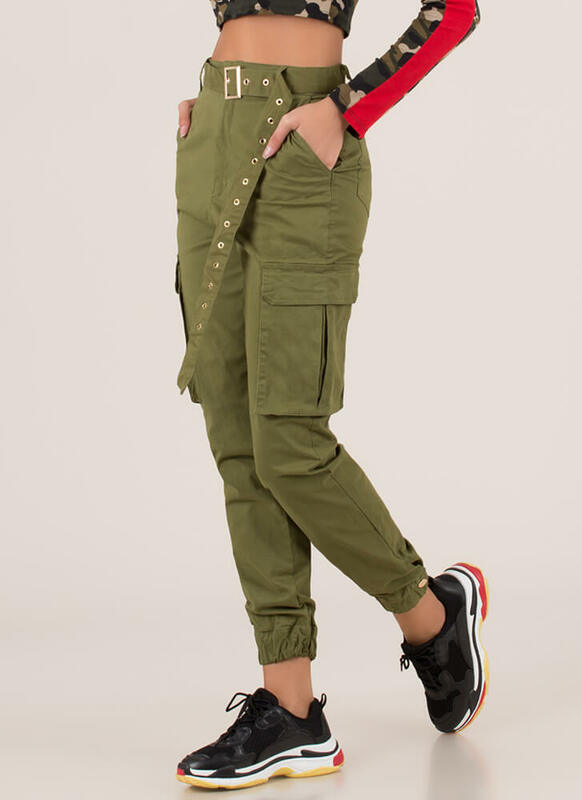 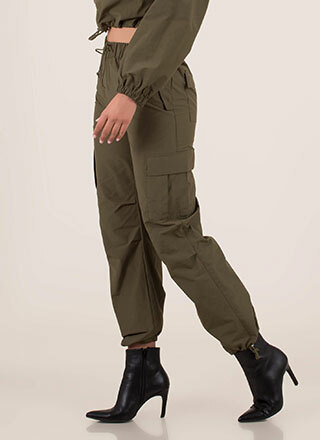 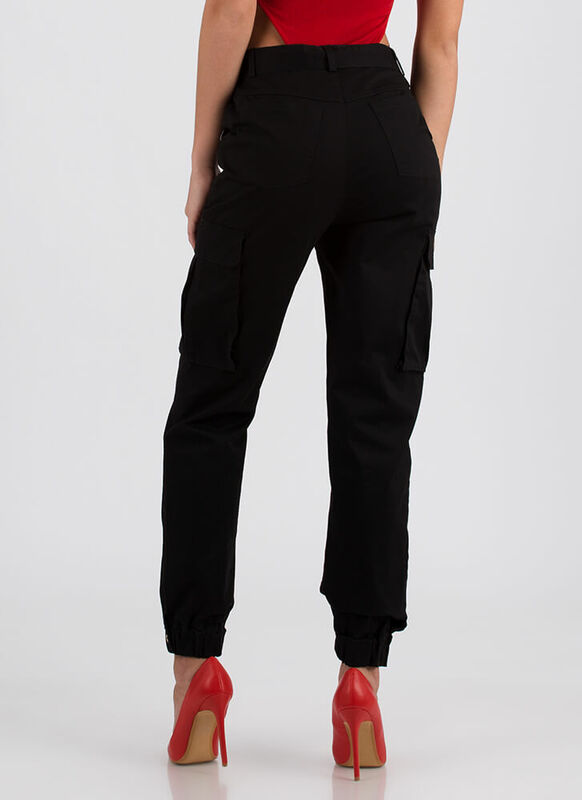 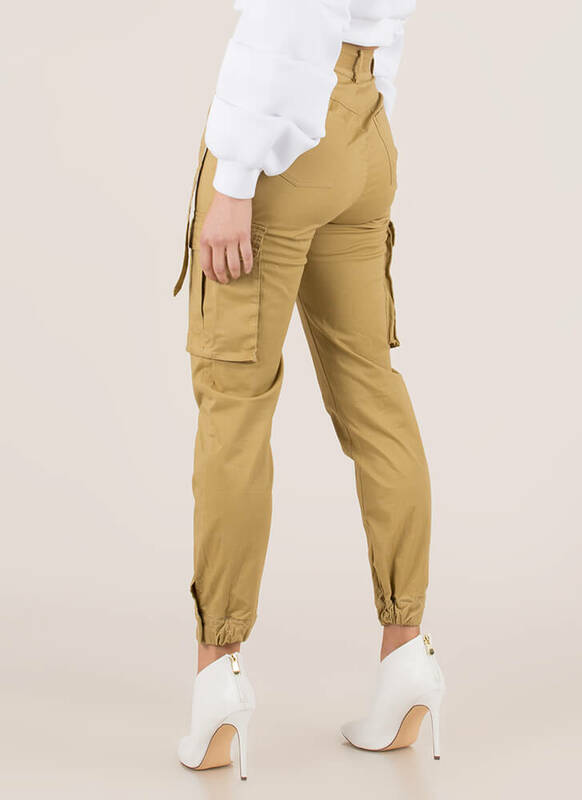 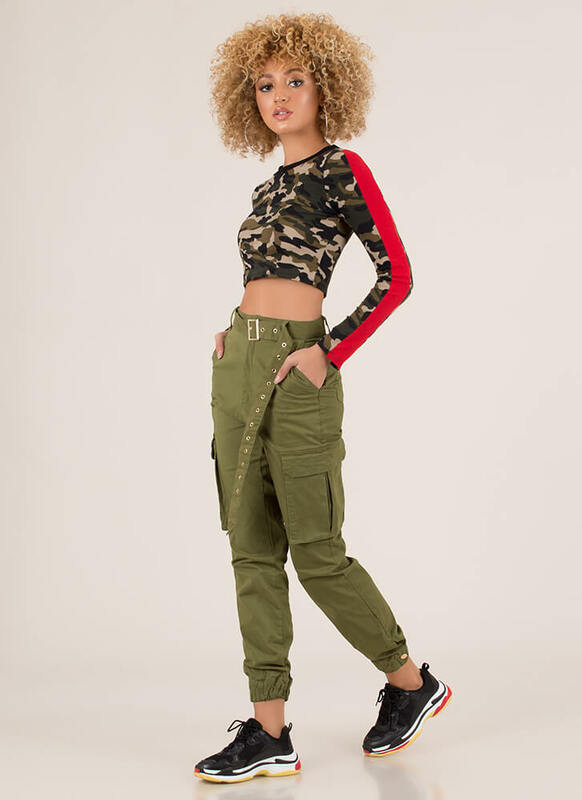 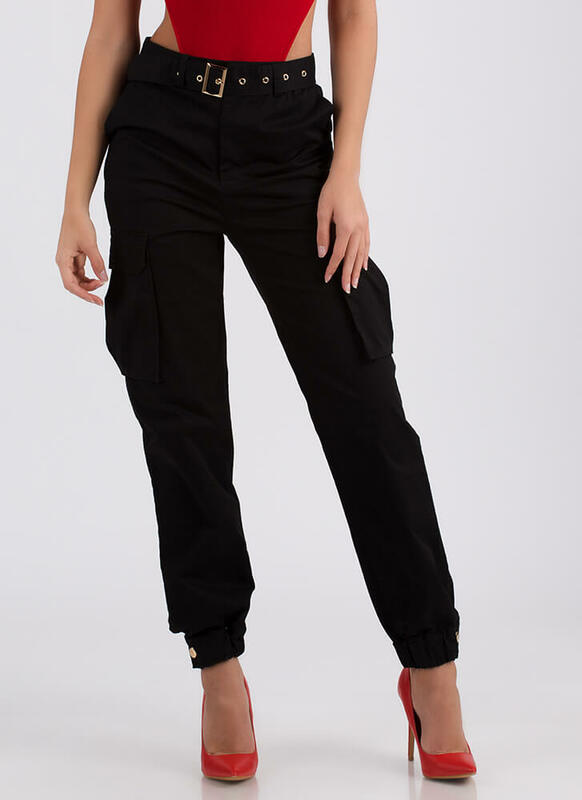 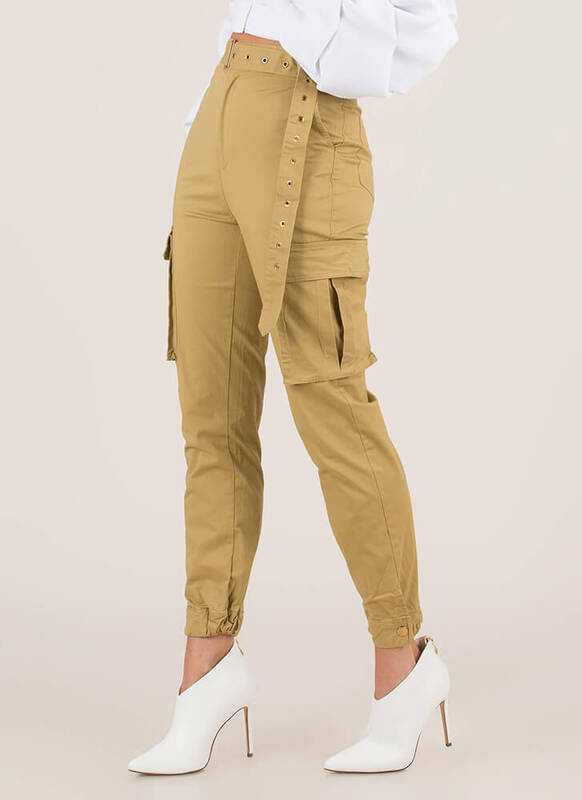 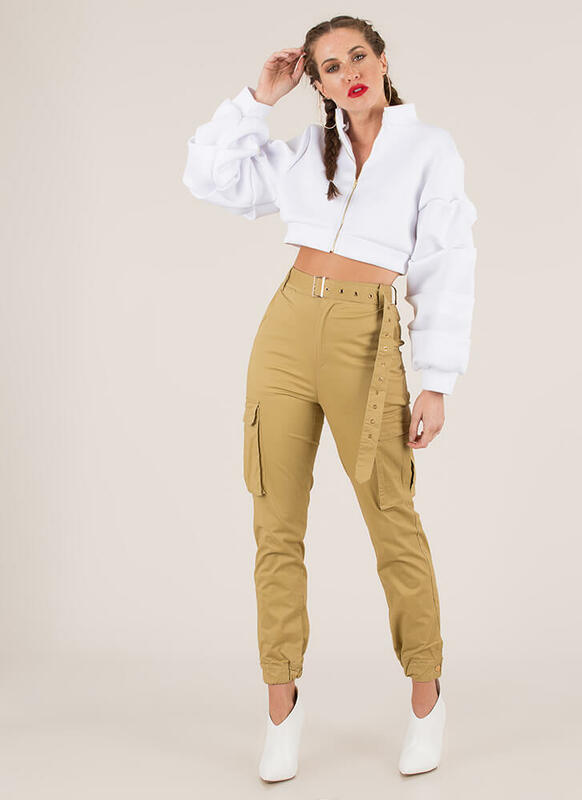 Lightweight, semi-stretchy, cargo joggers feature a buttoned zip-fly, large pleated cargo pockets on the thighs, relaxed-fit pant legs with elasticized ankles, and a matching belt with punched grommets and an adjustable buckle. 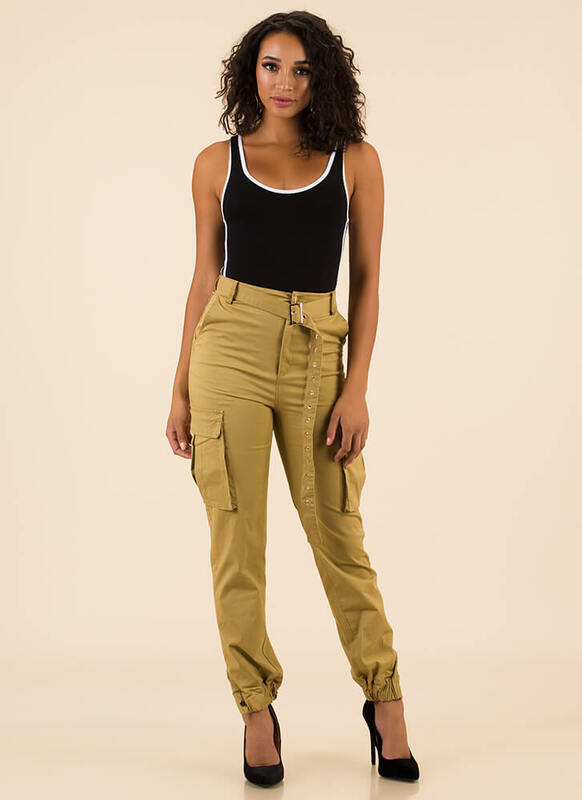 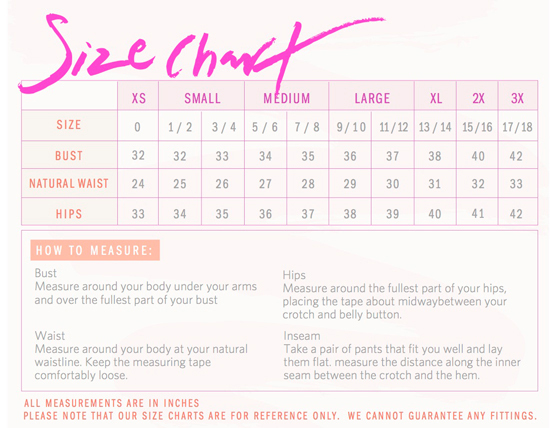 Pants are finished with open hip and rear pockets.